Winter is finally here! And with it, consistently low temps – all day and all night. After my last outing, I realize there a few extra winter hiking gear items I should add to my pack. Just in case I get stuck out on the trail longer than expected. Let’s face it, hypothermia is a risk all year round. But prolonged exposure to the elements in winter can be significantly riskier compared to prolonged exposure in the warmer months. ​For example: if you become sick, injured, lost or unable to hike during a summer day hike, you have the leisure to take a long break, a nap, or stay sitting or lying on the ground while waiting for help without having to worry about freezing to death, on top of other injuries. On a winter day hike, however, if you become sick, injured, or lost, you must be able to keep insulated and warm, possibly for a long period of time while you wait for help and/or during a slow evacuation. ​If someone needs to sit or lie down for a while (due to injury) you will want to insulate them as much as you can. A sleeping pad can help insulate them from the cold ground. You don’t need an expensive, fancy one here either, even just a 3/4 length foam sleeping pad will do, and it won’t add much weight at all to your pack. 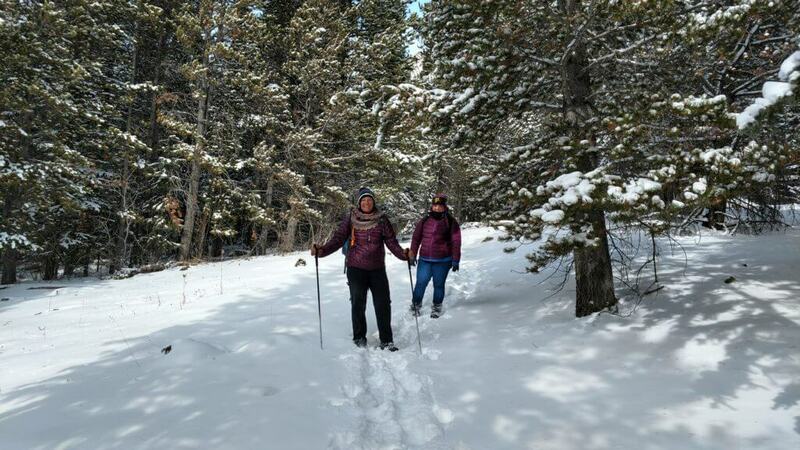 ​If you are stuck on the trail longer than expected, then the clothes you have on may not be enough to keep you warm if you are just sitting still, waiting for help in the cold. A sleeping bag or a packable down blanket will help keep you warmer while you wait and may just be a life saver. ​You know, the individually wrapped kind that heat up when you open them? I love these! Usually, I keep one with me anyway, even in the summer, when I’m backpacking because I’m a cold sleeper. You can throw one in your sleeping bag to warm up quick. These are great to put inside an internal pocket if you have one, closer to your body, then it will really heat up inside your jacket, or pop it in a sleeping bag or blanket. ​Consider the what-if scenario of being stuck outside, in winter, for way longer than expected. It’s a good idea to have the ability to heat up water or even a meal. You can heat up water to fill a water bottle, then use that bottle to help keep you warm. Put it inside your jacket, or inside your blanket or sleeping bag. ​Consider adding a Jell-O packet to your first aid kit or food bag. Creating a hot, diluted, Jell-O drink can provide a quick jolt of heat and calories to a hypothermic person. Be sure to dilute the Jell-O mix, or it won’t be absorbed properly. These winter hiking gear essentials won’t add much weight to your pack but can make a huge difference in the face of a winter emergency. Which Is Better For You? Down or Synthetic? 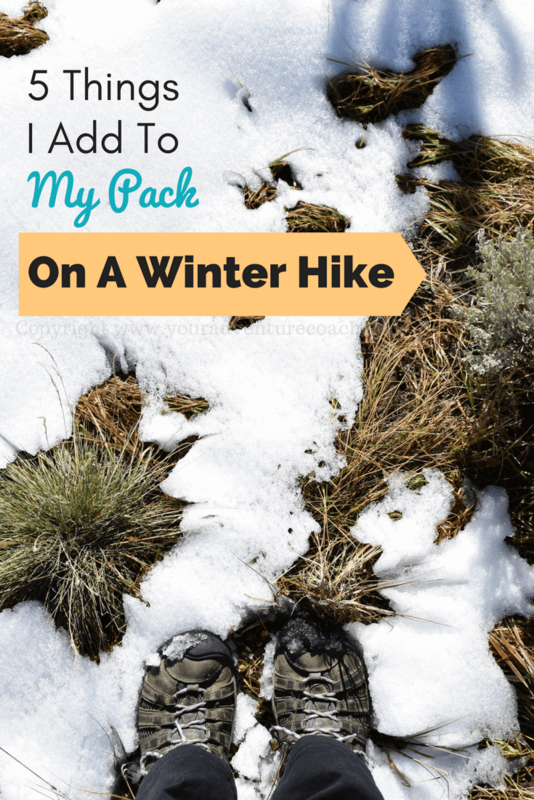 What extra hiking gear do you add on to your winter adventures?? Let me know in the comments! 2 extra pair of wool socks. Thanks for sharing these 5 tools to keep you warm in an emergency. Hikers should know this especially if they are hiking during winter. Glad to read this article. 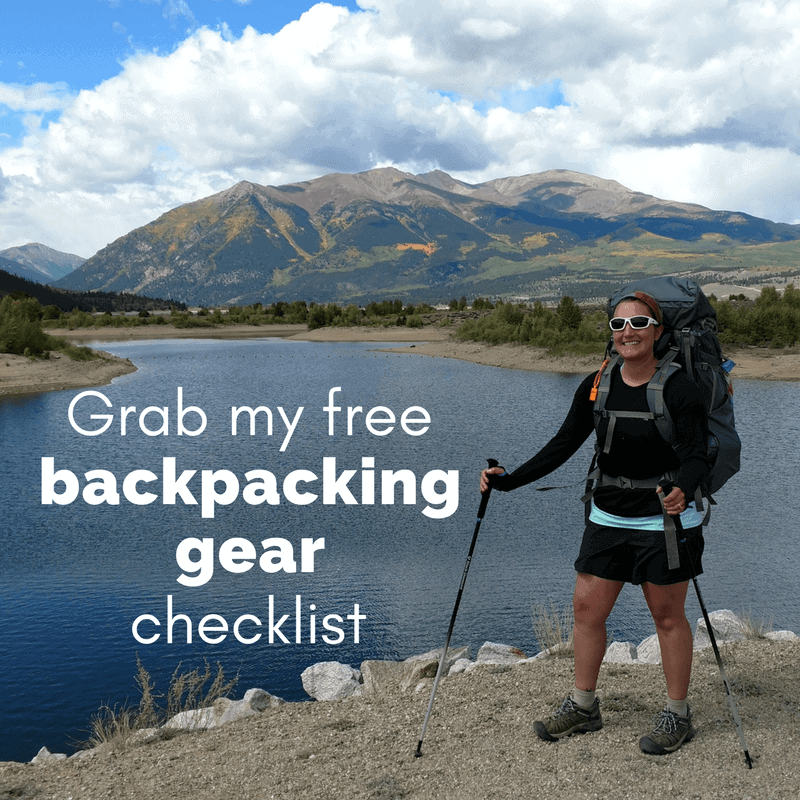 Great things to have, and will definitely do some repacking. I would add one more item, or replace the Jell-O with a fat; butter, coconut oil, or chocolate, or all three. For one, 9 K cal. Per gram, fat is a good fire starter, satiating. Fat is where it’s at. My choice would be coconut oil. Thanks, Mark! haha yes, fat is where it’s at! I always love to hear the creative ways hikers squeeze in extra fat and calories – even though it can lead to some seemingly gross combos.